Buying a home can be a very overwhelming experience and often times people get so caught up in the home buying process that they lose sight of what is most important to them. It’s like they say “sometimes it is difficult to see the forest through the trees. When you are shopping for your new home we don’t want you to have to go through any extra hassle than is already involved with buying a home. That is why we put together this list of 4 common mistakes home buyers make and how to avoid them! Trying to purchase (potentially) one of the largest items of your life takes a lot of careful planning, this begins with the highest priority. Everyone’s priorities are different and for some people this maybe a better location, closer to work or better schools, for others it maybe upsizing due to family growth or even downsizing because the nest is (finally) empty. No matter what the reason, it’s important to keep this priority on the forefront of the entire process. Many times during the exciting search couples or individuals get hung up on the house they feel is “perfect” due to the quaint shutters, large wrap around porch, big colonial style columns or any other reason you fall in love with a house. This is how people end up purchasing emotionally and stop using their heads. Granted you need to find a place you like but keep in mind the reason you began your search, if you get too caught up in the emotional roller coaster of the purchase you could end up purchasing a home you never really wanted or end up paying too much. Like they say “numbers don’t lie!” the problem is you have to be sure you add them up correctly. 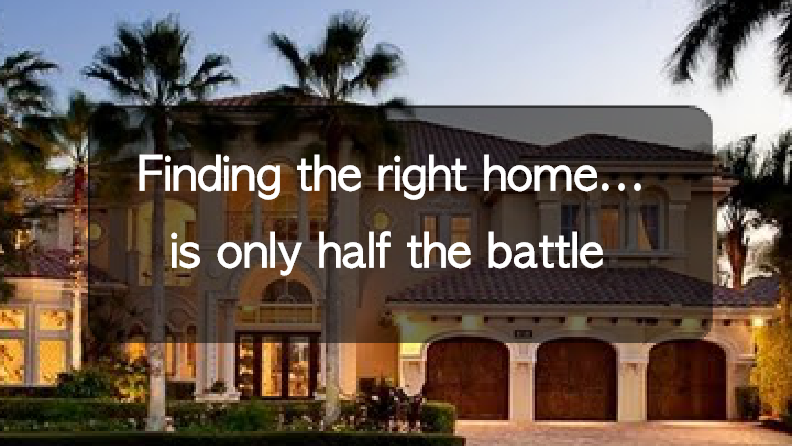 When deciding how much you can afford, this can turn out to be the most important aspect. It is always great to have an idea of how much you are willing to spend and what a fixed rate mortgage is going to cost you each month over the term of the loan but what about all of the other costs like insurance, taxes, HOAs, moving costs, extra commute and depending on where you are moving to the change in the cost of living. Depending on what stage you are at in the home search it may be in your best interest you to sit down with a mortgage broker or other financial guru to discuss all of the costs that will be involved, I would hate to be finalizing the house and find out there is a $6,000 a year property tax under my dream home that I did not budget for. Most of the time when we receive bad news with a car malfunctioning, air condition system not working or even a high insurance quote the first thing we do is get a second opinion or another estimate. A home inspection is almost the same idea, you were the first inspector (even if you didn’t know it) and there is no reason not to get another professional to look things over. This still may seem pointless but if the doctor told you that your leg had an internal fracture without performing an X-ray would you take his word for it? Do yourself a favor, get the home inspection by a reputable professional with a good track record the cheapest is not always the best in this case. In the midst of a buyers’ market much like where we are now, it is important to have everything ready to go with a preapproval letter and the money on hand to make the purchase. With that said many times there may be other buyers looking at the home you are which can make it interesting when trying to get the home under contract. After the negotiation is complete, to be sure you are serious about the property sometimes there is an “intent to purchase” that you sign along with an allotted amount of money that must be put down known as “earnest money”. Depending on the contract you sign you must be aware that this money would be kept if you decide to walk away from the deal. Of course you assume this would never happen BUT what if there is something unforeseen until the home inspection like termite infestation or even foundation damage. If you aren’t careful the earnest money could be kept even when these insinuating circumstances arise. It is important to be sure that this earnest money can be gotten back if things like the home inspection or financing does not go through, that way the $2,000 or more goes back into your pocket and put towards another place. 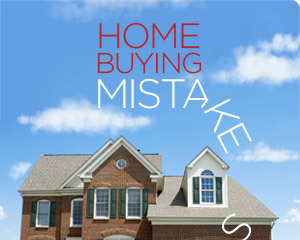 Everyone can make mistakes but these mistakes tend to have zeroes behind them when making such a large purchase. With careful planning, not allowing your emotions to get in the way, being honest with yourself and knowing what you are signing up for these issues can be totally eliminated. From the team at www.Moversatlas.com happy house hunting! Skipping or skimping on the home inspection can be really tempting. After all, you’ve already found a house you love in a neighborhood you really like, and the price is great. Now all you want to do is sign the papers and move in. Why worry about the home inspection, even if it’s only around $250 – $500? Unnecessary as it may seem, getting a professional home inspection is something that’s really important for home buyers to do. You might think that having walked through the house, you’ve seen everything you need to see, so there’s no need to go all-out on the home inspection. 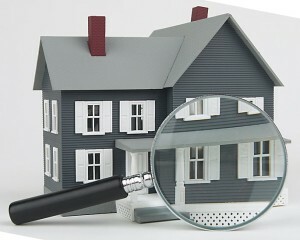 However, a good home inspector can catch things that ordinary people just touring the house wouldn’t notice. For the most part, sellers and real estate agents representing sellers are required to disclose any defects in the house, however, they can only tell you about the problems that they’re aware of. Certain problems, such as termite or foundation damage can take years to occur and happen so insidiously that the seller may not even be aware of the issue. For obvious reasons, an unscrupulous seller might also choose not to disclose defects in the house that he feels would affect its resale value to you or to his real estate agent. By helping you avoid buying a house with costly problems such as termite damage or a flawed foundation, a home inspection can save you thousands of dollars. 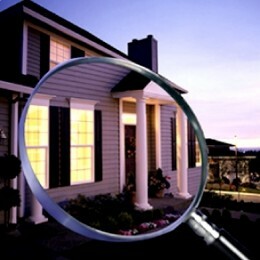 Home inspectors can also highlight more routine maintenance issues. If your inspector points out that the air conditioner unit is 10 years old or that the roof needs to be replaced, you might be able to negotiate a better deal with the seller. The $250 – $500 people typically spend on a home inspection is miniscule compared to the home’s price and the money it could save you in the event that there is a problem. So even though it may seem like an extra step, make sure you find a reputable home inspector, who’s independent of your lender or real estate agent to investigate the house for you before you buy it.